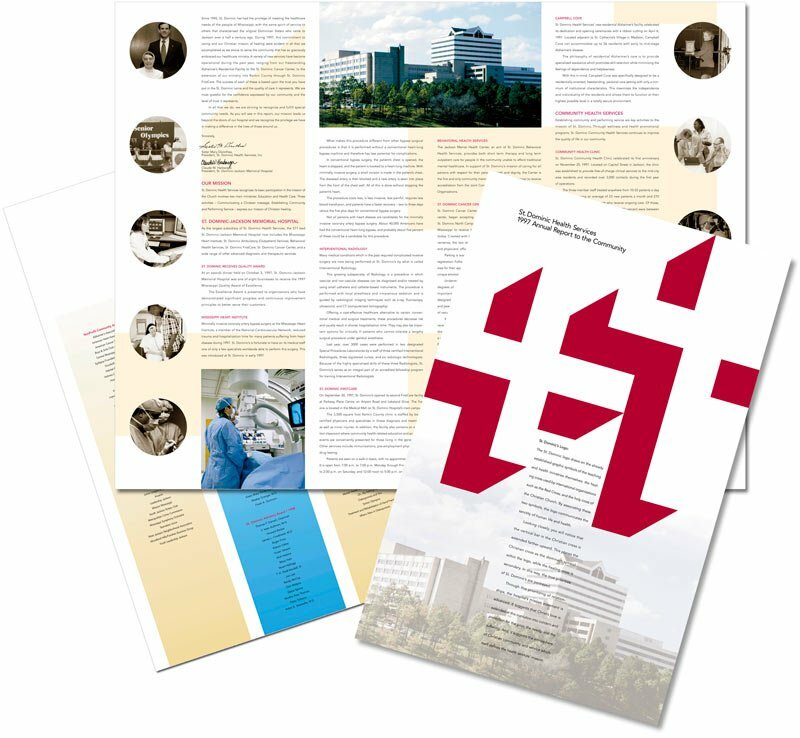 This yearly annual report to the community for St. Dominic’s Memorial Hospital. As it focused around a community message, we designed it be distributed as a newspaper insert. As such, we choose a familiar size so the piece, when open, felt like it was part of their Sunday news.